Dental patients in the Coppell, Valley Ranch, and Flower Mound areas know that regular brushing and flossing are essential for optimal oral health. However, the bristles of your toothbrush can’t reach into every small groove and depression in your teeth, especially the really bumpy back teeth. That’s where sealants can be invaluable. 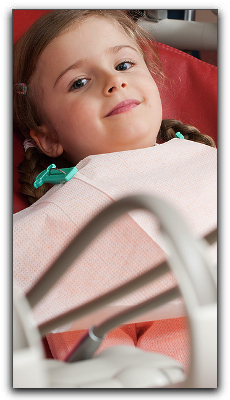 Dental sealants are a plastic material that is applied by your Dallas dentist. This material is a resin that bonds to the chewing surfaces of the back teeth, mainly in the pits and fissures. The plastic acts as a shield against acids and plaque so that the tooth enamel is protected. Many Lewisville residents might think that sealants are only for children and teenagers, but they can actually be beneficial for adults as well. If you are wondering if sealants are right for you, speak with your Coppell, Valley Ranch, or Flower Mound dentist. This simple dental procedure can dramatically improve your dental health by protecting the surfaces that are particularly vulnerable to decay. Many Texas dental insurance providers include dental sealants as a covered benefit, so check with your provider if you are considering them. If you don’t have dental insurance, ask us about financing options. Because they can prevent cavities, dental sealants can save you money in the long run. If you have any questions about these or other cosmetic dental procedures or would like to schedule an appointment, call us today at (214) 731-7925. Our involved staff would be happy to assist you. Does My Lewisville Dentist Care About My Diet?